Having looked at tattoos in ancient tribes and their beginnings in the west let’s look at its popularity in modern times. Professional documented tattoo artists started appearing in the late 1800’s. Tattooing was actually an expensive process and at that time became a mark of the wealthy in Europe. Later it has crossed all barriers and is no longer local to any particular economic or social class. In fact in 2010 25% of Australians under 30 had tattoos! In modern times tattoos have become more and more normal, you see it in pop stars all the time and did you know there was even a tattooed Barbie released! Tattoo artists have started to cross with other forms of art and you can now see men and women with fine art backgrounds entering the profession of tattoo artist. Now a days tattoos have quite a different meaning than in the past. Rather than being a sign of deviance or defiance it is just a form of expression and wow do you see all forms of it! I believe it now being a form of expression is one main factory in the growing surge of tattoo regret. What you want to express one year may not be what you want to express in a later year. When you add to that, in the past you knew it was a truly permanent mark unless you wanted to resort to scaring yourself by cutting or burning it out. 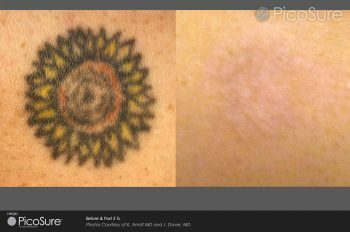 Now when making the decision to get a tattoo there is always going to be a part of you that knows scar-free tattoo removal is available. It is now a not too expensive, not too painful and not too long process. To find out more about getting your tattoo removed check out some of other blogs.